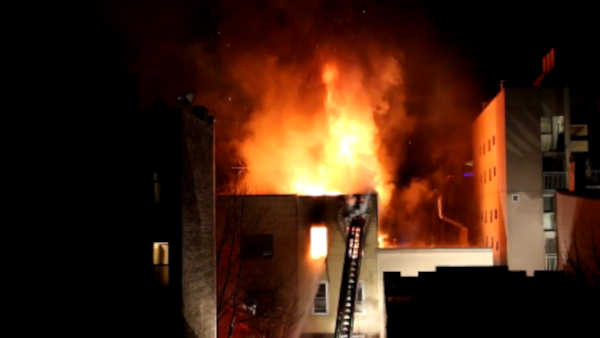 GREENPOINT, Brooklyn (WABC) -- A three alarm fire has engulfed a building in Brooklyn. Flames broke out around 10 p.m. Sunday in the 3-story building on Diamond Street in Greenpoint. The apartment is in a row of buildings, and the fire is rapidly spreading. The FDNY reports that over 140 firefighters responded to the scene. So far, there are no reports of any injuries.